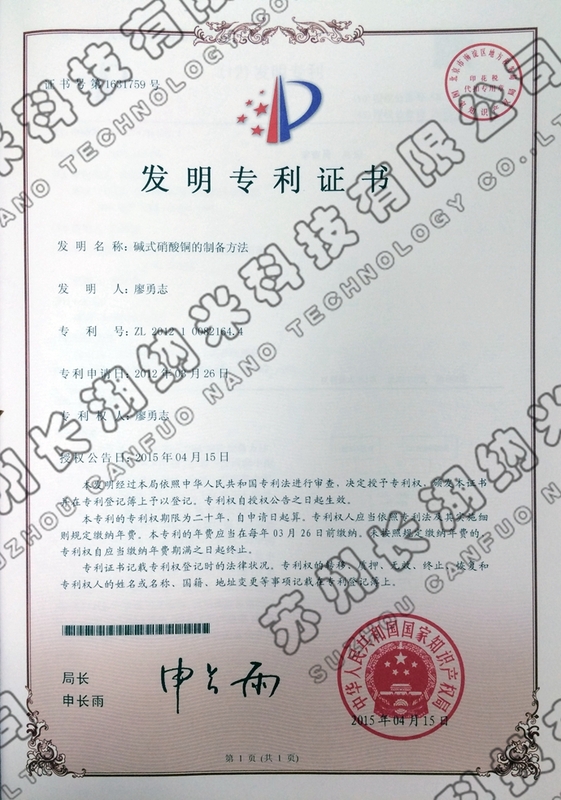 Industrialization Preparation of Basic Copper Chloride Technology (Invention patent authorized). The successful development of a new generation of basic copper sulfate technology (Invention patent authorized). 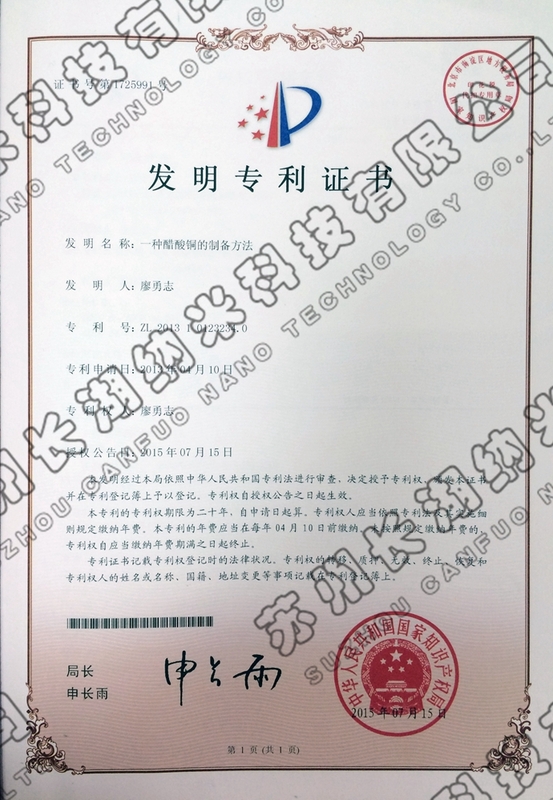 A method of utilizing copper circuit board liquid waste to produce high purity copper sulfate (Invention patent authorized). 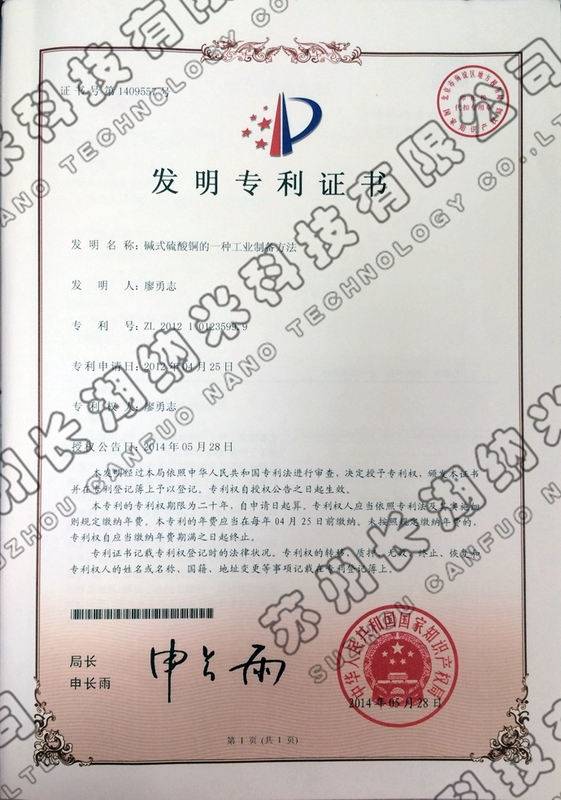 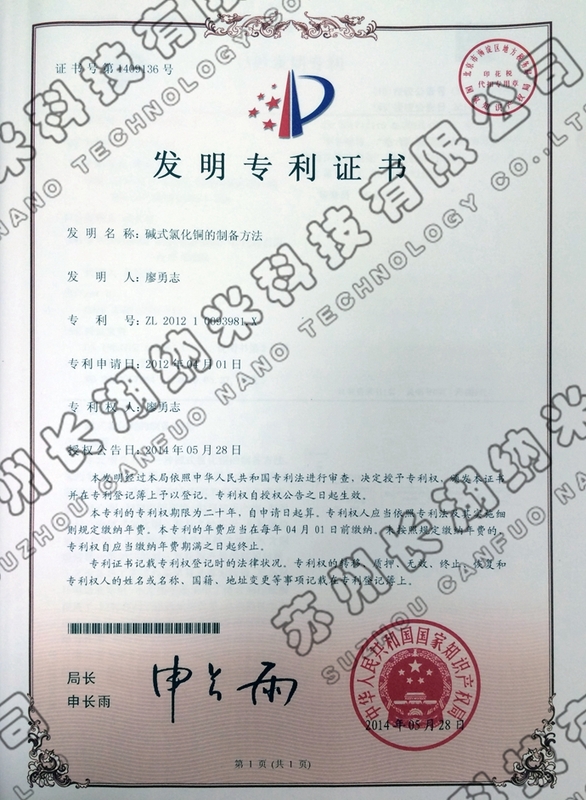 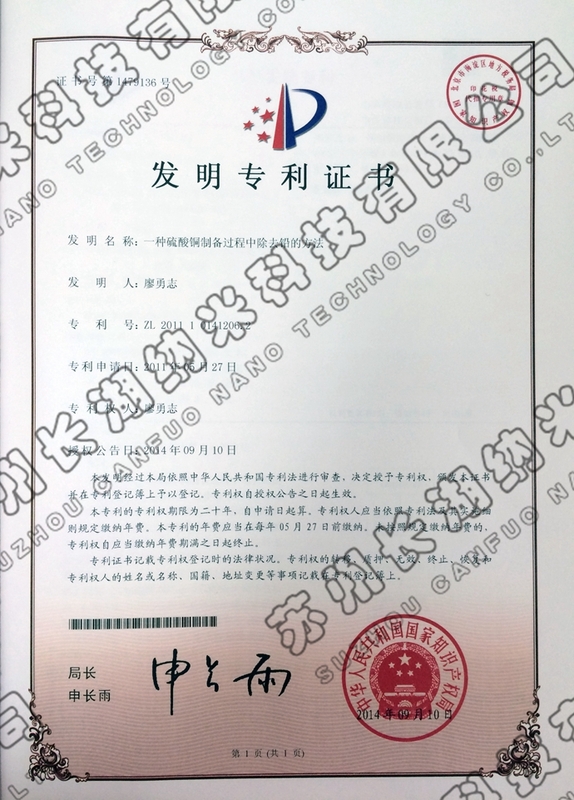 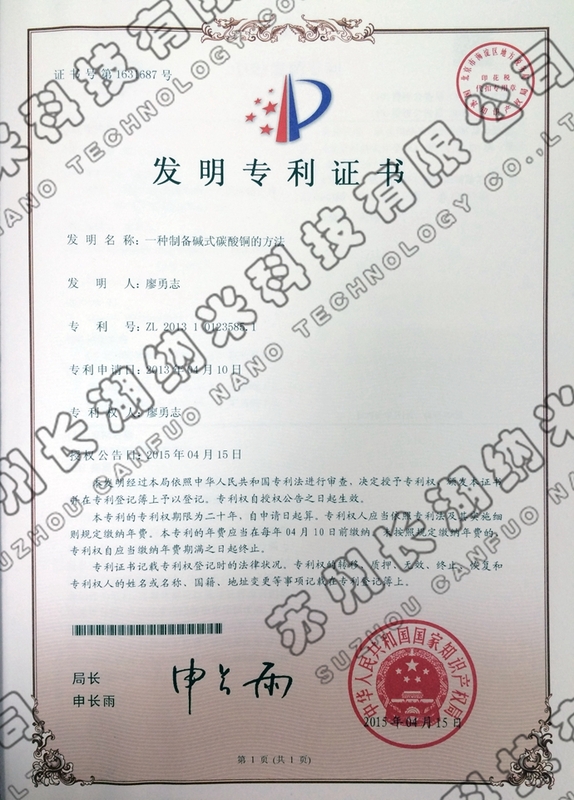 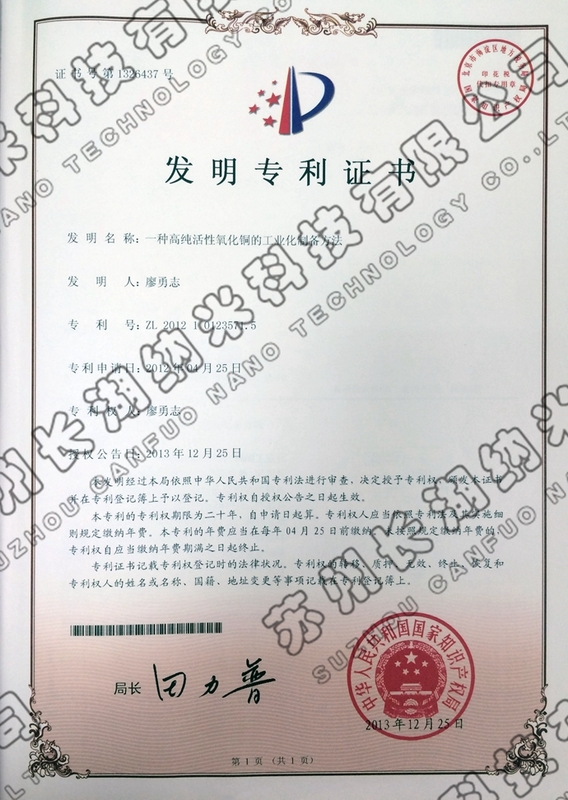 A new of industrial production method of high-purity active copper oxide (Invention patent authorized).